I have to be honest about my bias. I really don't like coconut very much. In fact, there is really only one recipe that I enjoy coconut in. That recipe is my wife's amazing magic cookie squares. When So Delicious offered to send me a few of their products to sample, you can understand why I was skeptical. However, I do enjoy finding healthier alternative to my favorite products so I decided to try the two products they sent me with an open mind. 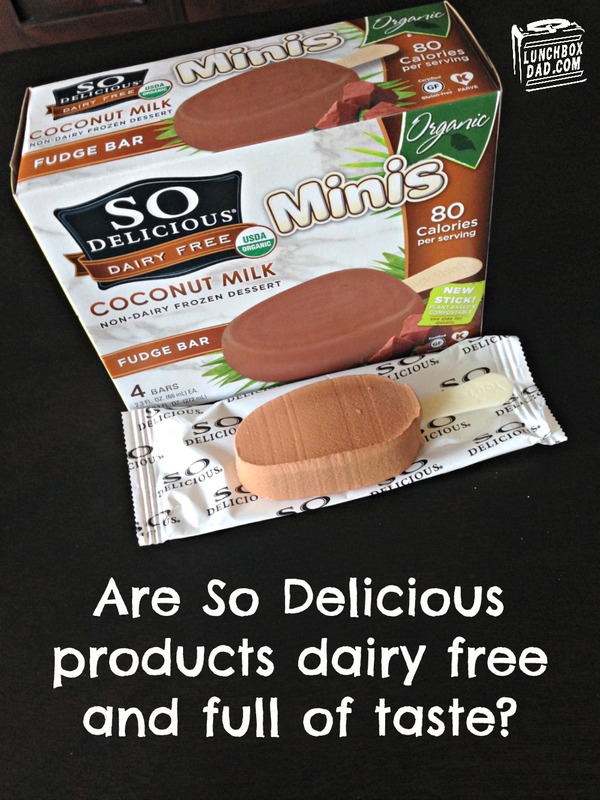 The first product my family tried was the So Delicious Coconut Milk Mini bars. I wanted to see how my kids liked them, as well as us adults. I, of course, went for the chocolate first. I was immediately impressed with the chocolatey taste, even with the hint of coconut. I actually felt that the coconut added a fun twist to the normal chocolate flavor. I found myself enjoying this very much. My kids sucked these down as fast as a regular fudge sickle. 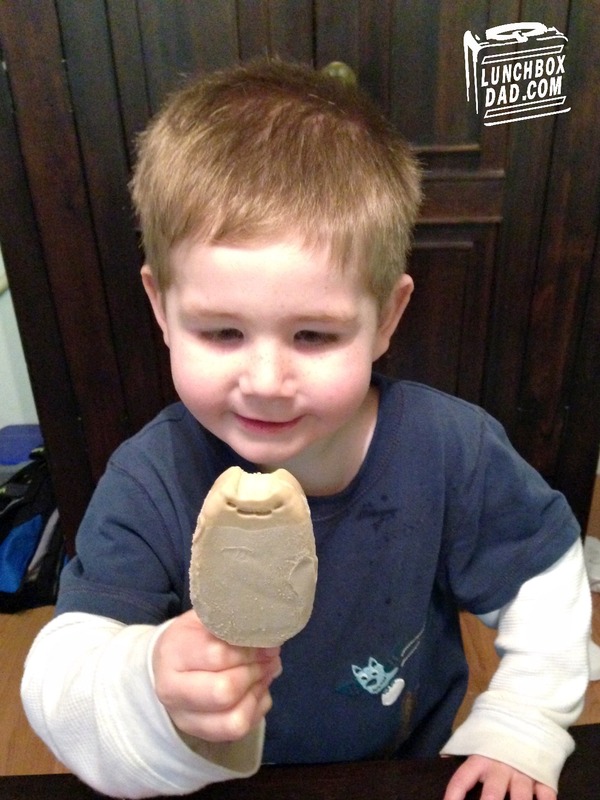 We also enjoyed the Just Java flavor (as you can see in the picture below). However, the strawberry mini bars came in last, which was surprising. My kids are usually big fans of that flavor. It lacked intensity and was a little chalky. Besides being impressed with the taste, I was surprised that there were only 80 calories in each bar. Even though the 2.3 ounce bars are called "mini," they were big enough to satisfy us. Plus they are all organic and the stick is even compostable. They are also gluten free. The fact that they are nondairy makes it a perfect choice for those who are lactose intolerant or vegan. I would definitely pick up these again and even choose them over a regular fudge sickle because of the taste and healthier ingredients. 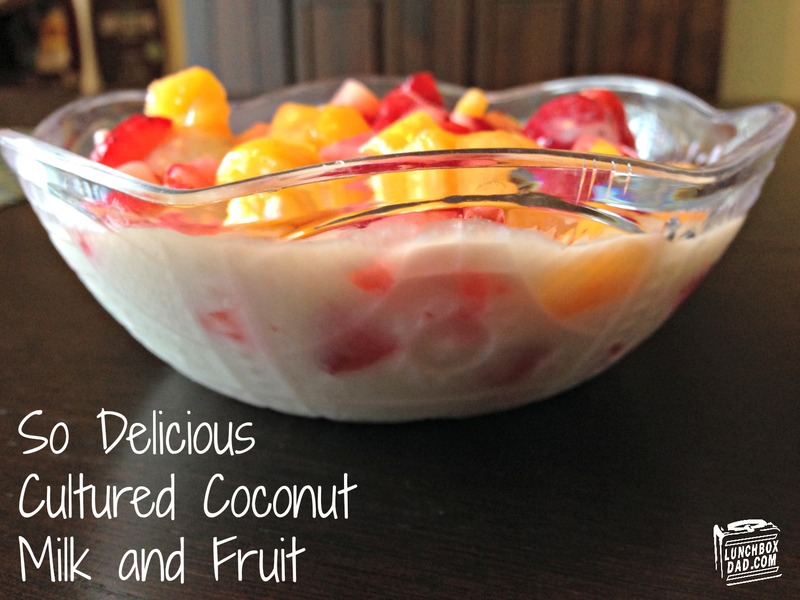 The other product my family was able to sample was the So Delicious Cultured Coconut Milk. Essentially this is a coconut milk version of yogurt. I wasn't sure exactly how to eat this at first so I did a little experimenting. It is a little thinner than your normal yogurt and doesn't have a strong flavor at all. Because of this, I did not prefer to eat either flavor by itself. My first idea was to mix in fruit with it. I chose some frozen assorted fruit and discovered it added just enough sweetness to balance out the yogurt. The taste was excellent! However, my kids still had a hard time with it prepared this way. The other way I prepared the Cultured Coconut was in a fruit smoothie. At my house, healthy fruit smoothies are a breakfast staple. We are always looking for ways to improve them. I combined the So Delicious Cultured Coconut Milk with frozen fruit, spinach, and a bit of juice. 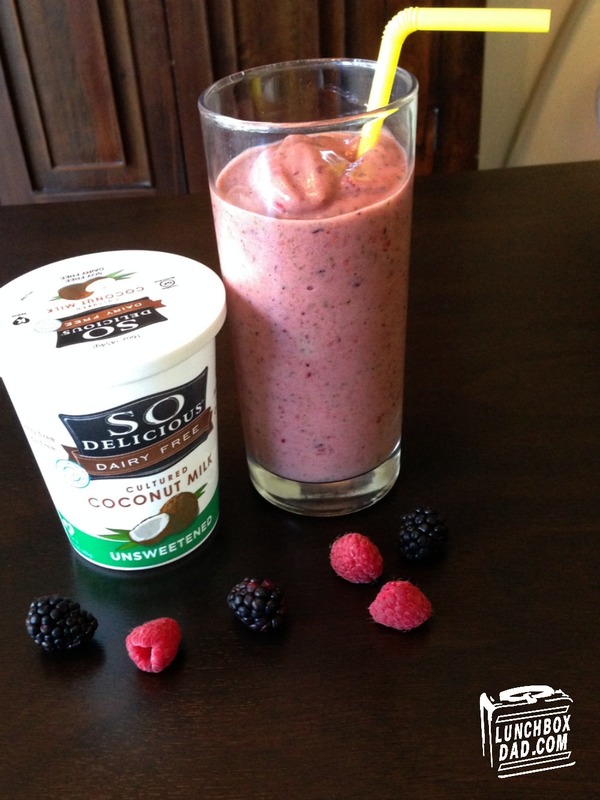 It was as tasty as other smoothies that we have made except that you had the subtle coconut flavor. It really added to the tropical feel of the drink. My kids had mixed reactions. My daughter loved it for breakfast and my son pushed it away. I tried to serve the smoothie again at lunch, and with kids being kids, there were different results. This time my daughter didn't like it and my son couldn't get enough. Kids...sometimes I think they do stuff like this just to mess with our heads. Since both of my children finished their cups (at different times) I would call this recipe a win for my family. Overall, we enjoyed So Delicious products quite a bit. For someone who doesn't like coconut, I was pleasantly surprised with the taste of So Delicious products. If you need to find a dairy-free alternative then I would definitely look into this brand. They make more than just these two products and are sold everywhere. As for my family, I really see us buying the So Delicious Mini Bars again. They impressed us that much! I'm just sorry there isn't anymore chocolate flavored left in the freezer right now. 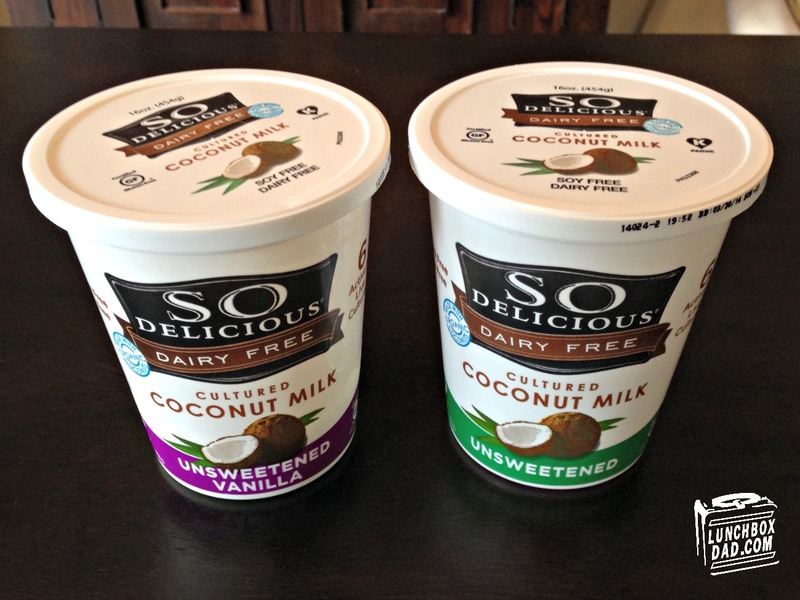 You can find So Delicious online at www.sodelicious.com and on Facebook at www.https://www.facebook.com/sodeliciousdairyfree. Disclosure: So Delicious gave me their product to review. I have received no other compensation for this post and the opinions I’m expressing here are solely my own.